An Embraer E175 jet flying in sky. Credit: Embraer. US-based regional airline company SkyWest has placed a $422m firm order with Embraer for the purchase of nine E175 jets. Deliveries of the new 76-seat aircraft are scheduled to begin this year. Since 2013, Embraer has sold more than 565 E175 jets to various airlines in North America, representing revenues exceeding 80% of all orders in the 70-76-seat category. SkyWest is the holding company of SkyWest Airlines. The company currently operates more than 2,500 daily flights to serve around 50 million passengers a year. SkyWest Airlines conducts its operations in collaboration with United Airlines, Delta Air Lines, American Airlines and Alaska Airlines. Last December, Embraer secured a $4.69bn order at list prices from Republic Airways to provide 100 E175 jets. 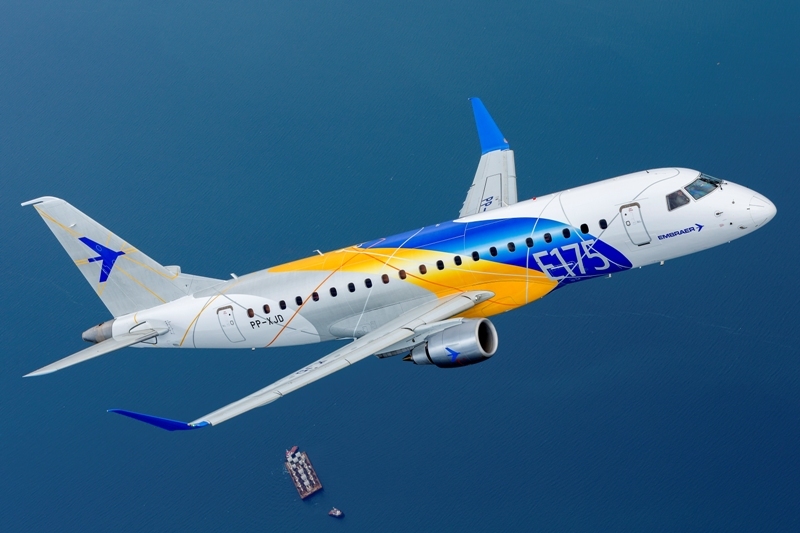 Embraer is expected to start delivering the aircraft next year. The company has so far received more than 1,800 orders for its E-Jets family of aircraft and has delivered over 1,500 jets from those orders.